Medium. image fused to 30 glass panels. 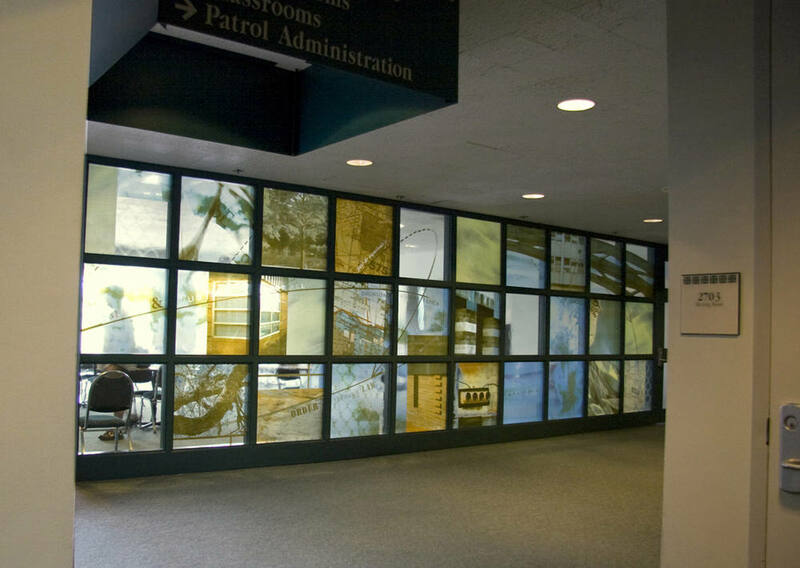 This glass curtain wall imagery was designed to honor the day to day perseverance of the men and women who serve at Police Officers in the SE Division Police station in Houston, TX. Singular, small snapshots, such as birds on a wire, a stop light & sunlight on a wall all mark the day passing for these Police Officers.